There are a variety of reasons why people enrol in graduate school with the ultimate goal of getting a masters degree in management, most usually an MBA. There are those who are already in management and are sent by their companies to gain a theoretical perspective on the challenges already being experienced at the workplace. Some enrol on their own initiative. There are the youngish ones who are sent to prepare them for a future in management. Others are motivated by incentives that an MBA will bring in terms of remuneration. Still others enrol to have something that will make the résumé look more competitive. Ideally, getting into an MBA program should be a natural progression from a bachelor’s business degree. In the present, however, professionals in various fields are finding themselves in management positions in their respective organisations without really having trained for management. There is little logic or attraction to returning to school for a bachelor’s program in business management; hence the attractiveness of MBA programs even to non-business or management graduates. It is probably better to set aside an hour or two each day rather than cram the night before class as some probably did while still in college. After all, the pace of teaching is so much faster and backlogs can quickly pile up. 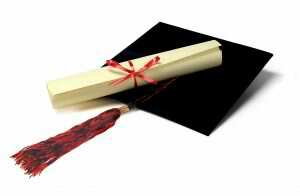 Those who enrol armed with bachelor’s business degrees will naturally have a decided advantage in an MBA program. In fact, there are those who say that there is little difference between an MBA and a bachelor’s business administration program. But more on this matter a little later on. It goes without saying that those who are not business graduates will probably have to do more readings to cope with the concepts and jargon that business graduates will probably take for granted. Understand that at graduate level, it is no longer the professor’s responsibility to walk a student through the basics. Coping will not be impossible; but it will not be without effort on the part of the student. Since the theoretical part of business and management will be more or less the same whether at undergraduate or graduate level, the learning in an MBA program will be coming more from case studies and actual experiences in the workplace shared by classmates inside the classroom. It is often the comparison of these experiences against management theories and industry standards in case studies that can make MBA discussions so much more animated than college classes ever will be. Of course, in college, few students if at all will have actual work experience that will enable them to relate with and fully appreciate the theories that they are being taught. While there are universities – from sheer necessity, if nothing else – that allow fresh college graduates to enrol in their MBA programs, this is something that is ultimately counterproductive. The fresh college graduate will naturally learn from the sharing of workplace experiences by classmates who have been employed for years; but will inevitably be unable to reciprocate. What is there to share if one has not worked before? It can be such a farce when universities waive the required work experience requirement just to be able to meet enrolment quotas. A good MBA class mix will probably be one made up of those newly employed, those in middle level management and the older ones already in upper management. This way, perspective is obtained and shared from all levels of an organisation. There is really no such thing as being too old to enrol in an MBA program; and being in the company of younger classmates can be an invigorating experience. For those in their forties or even fifties who are already well-experienced in management, an MBA will help validate what one is already doing in the workplace or expose erroneous company practices. Of course, if one realistically has no chance of getting into management, an MBA will have little relevance beyond a desire for self-enrichment or to get a pay raise if such a credential is stipulated as a requirement by company policy. In fact, one may even end up overqualified for a position; although that said, what’s stopping an MBA graduate from seeking greener pastures? Most professors in graduate school will understand that students are also juggling demands on their time made by the workplace and by raising a family. This does not mean, however that one can slack on readings and the required paperwork. That is, if one is enrolled in a proper university. At the end of the day, if one is not prepared to sacrifice time and effort, enrolling in an MBA program may not be such a good idea at all.